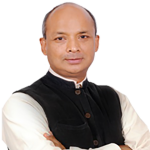 Pramit Pal Chaudhuri is BowerGroupAsia’s advisor in New Delhi, India. Pramit is also the foreign editor of the Hindustan Times and has worked with the paper since 2000. Earlier, he wrote about international politics and economic issues for the Telegraph and the Statesman newspapers in Calcutta from 1985 to 2000. In his role as a non-government expert, Pramit serves on the National Security Advisory Board to the Prime Minister of India, where he sits on the national task forces for maritime security, neighborhood policy, resource security and strategic communication. Pramit has a number of affiliations including with the Mont Pelerin Society, Aspen Institute, Asia Society’s Global Council and the Institute for International and Strategic Studies. As a member of the Aspen Strategy Group of India, he is a delegate for a number of track two strategic dialogues including those with the United States, China, Israel and the U.S.-India-Japan trilateral. Most recently, he was part of an Aspen delegation that launched the India-Turkey Forum. Pramit also holds a number of prestigious academic positions around the world, including at the Fletcher School of Law and Diplomacy and the Henry Stimson Center in Washington, D.C. He is a Hubert Humphrey Fellow at the University of Maryland-College Park, a South Asian fellow at Cornell University and a non-resident Schwarz Fellow with the Asia Society. Pramit graduated in history from Cornell University in 1985. He has lived in or traveled through more than 50 countries.